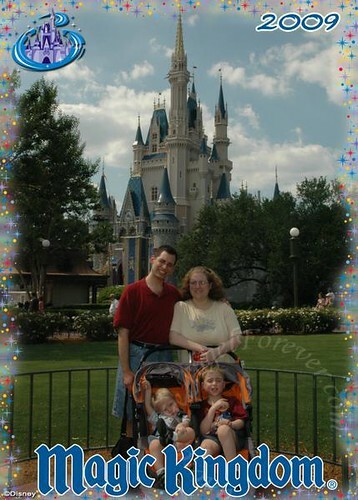 Last year, at about this time, I was working on plans for our first family Disney World vacation in May. Having been to Disney World countless times in my life, I knew there was a LOT of walking involved each day. My youngest was going to turn two during our stay, so he would need a stroller to rest/nap in during the long days. What I wondered about was my oldest son. NHL was 5 during our trip. Walking at the mall for long periods of time often makes NHL tired thanks to low muscle tone. Even without the low muscle tone, Disney walking is like nothing else you will ever experience. I knew we had to figure something out. At first, we were going to rent a double stroller for a week at Disney. If you paid out the week, it was slightly discounted. Thank goodness I turned to the DISBoards and stumbled onto an amazing post about stroller rentals. Everyone on the post said the same thing – go to Orlando Stroller Rentals. So I went to their website and looked at the city mini double stroller. It seemed perfect since it could hold up to 100 pounds of children within it. Several of the Moms on the DISBoards mentioned that they had 5-7 years old that fit into it without a problem. 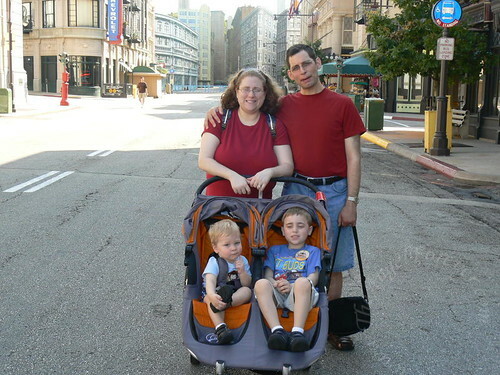 I made a phone call to Orlando Stroller Rentals and spoke with Shannon, the owner. She was fabulous and answered all of my questions. Strollers are delivered to your resort/location of choice. It was waiting for us at luggage at Pop Century when we checked in. The cost is significantly lower than Disney rentals. Was happy to give support to a small local business. Everyone talked about how uncomfortable and small the Disney double strollers were. I did not think my youngest would be able to rest – no less have room for my 5 year old son. We would be able to take the strollers from the resort to the park and back. Disney strollers must stay in the parks only – so we would not have them to travel around property or shop at Downtown Disney. When we were finished with the stroller, we simply returned it where we had picked it up and Shannon would retrieve it. We loved the double stroller from Orlando Stroller Rentals. It made our trip even more magical. We had a place for both of the boys to rest comfortably. Much to our surprise, our 5 year old seemed to use it more than our 2 year old who wanted to walk with Daddy. The stroller was easy to push around the parks. We had plenty of room, even at Pop Century to fit it in our room at night. With a few tries, opening and closing to take on and off the Disney buses was simple. Both of the boys would sit under the shades to keep cool and relax as we walked from area to area. In addition to this, at night when the kids were exhausted from a day in the heat they could sleep as we wandered back to our resort. Another plus is the stroller was easy to pick out in the mass of strollers parked outside of attractions. They were not only bright orange, but Shannon also has a laminated name badge attached to the stroller. 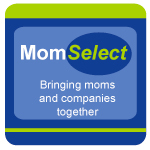 Our experience was so wonderful that when we were planning this quick trip to Disney for the Social Media Moms Celebration, I immediately called Shannon to see availability of strollers. Lucky for us, we were able to get one for the time we will be there. This will be fabulous not only for our time together as a family, but also when TechyDad is flying solo with the boys. Now I just need to walk up a storm and get my arms ready to push the boys in the stroller that we will be renting from Orlando Stroller Rentals. Disclosure: This review of Orlando Stroller Rentals that was done on my own, I received no compensation. We paid in full for our trip in May and are doing so again in February. This post was written to let others know about this wonderful business and service they provide to families visiting Walt Disney World. So torn! Thanks for the review – definitely gave me food for thought. I know I have to decide soon. .-= Whitney MWS´s last blog ..50% off at Amon Maternity w/coupon code SUPERSALE =-. Great review! We also loved them when we used them in November. Need to get a stroller reserved for our trip in May…We loved the Sit n Stand. Our only problem was that Zach wanted to sit on the seat in the back, instead of up front where he was supposed to be! Not sure if we’ll stick with that or go with the double. 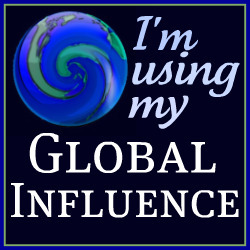 .-= Nancy´s last blog ..Daybook: January 11 =-. Thanks so much! I was debating renting at Disney! I will definitely look into Orlando Stroller Rental now! Hope to meet you at the conference! .-= Amanda@ A Few Short Cuts´s last blog ..NEW $1/1 Starkist Coupon from Vocalpoint =-. I wish we could use these strollers! But our girls, being 7 and 4, are probably too big to fit. We will still get the disney stroller, as they are hard plastic, and can carry more. If they were a year younger, though, I would be all over this company – love that you can take them out of the parks, that would have been great. See you at the conference! .-= @LastMinuteMandy´s last blog ..I’d rather be going to Disney!!! =-. Nice to know! We are driving from Chicago to the Disney event next month so we will have our stroller with us, but next time if we fly it is nice to know of a good company! Thank you so much for the wonderful review. Love all the pics and details. I will definitely have to check them out! 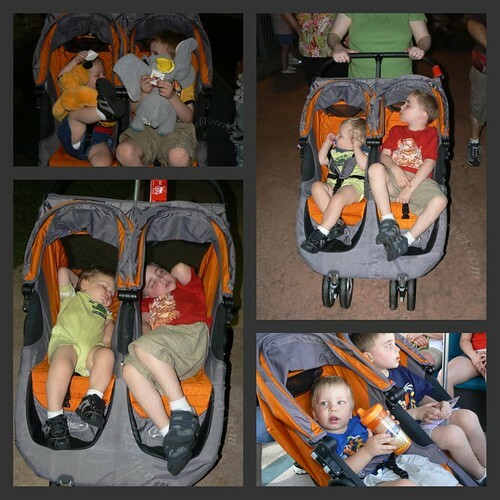 My husband and I have found a double stroller to be a must when going to the Disney parks. Our oldest daughter is 8, so she walked most of the time, however she did enjoy sitting down once in awhile. The double allowed my youngest (6) to ride during our marathon days at the park, and allowed enough room to store a backpack, cooler, etc. It definitely added convenience to our days.